This edited collection has emerged from studies funded through the UK Arts and Humanities Research Council’s (AHRC’s) ‘Connected Communities’ programme. The first book to publish in the Connected Communities book series, it uses the evidence and knowledge created by a range of projects to explore two theses: first, that the UK, and England in particular, has now entered a ‘post-regeneration era’; and, second, that new relationships are being developed between academics, universities and ‘communities’, producing new kinds of knowledge. Download the pdf of the full Introduction here. Dr. Dave O’Brien is Senior Lecturer in Cultural Policy, at ICCE, Goldsmiths College, University of London. He hosts the New Books In Critical Theory podcast. Dr. Peter Matthews is Lecturer in Social Policy at SASS, University of Stirling. He publishes widely in urban studies, planning, social policy and housing. 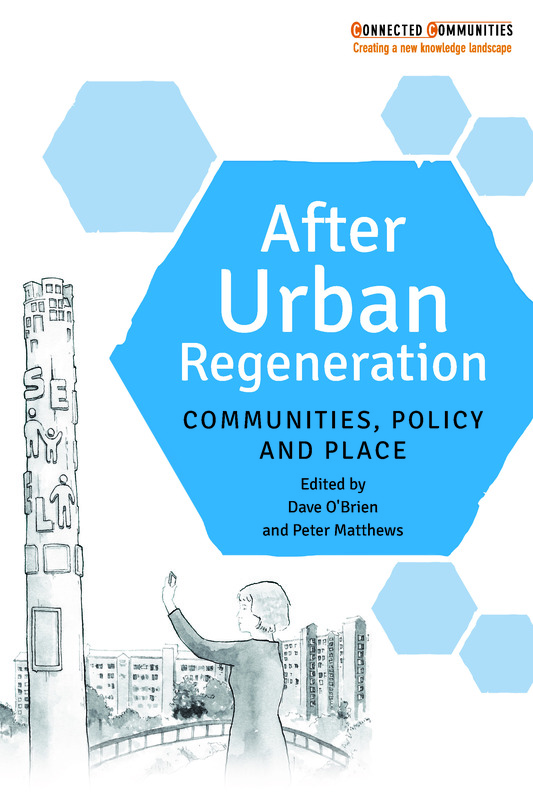 After urban regeneration is available to purchase here from the Policy Press website. Remember that Policy Press newsletter subscribers receive a 35% discount – if you’re not a member of our community why not sign up here today?